Every year, the interior design and architectural industries introduce more and more design solutions that blur the boundary between indoor and outdoors. Modern and contemporary homes offer creative and beautiful ways to add flexibility to your living style by inviting the outdoors in. And by offering outdoor spaces that merge with the indoor spaces used most frequently, these designs add livable square footage by extending everyday living to your outdoor spaces. 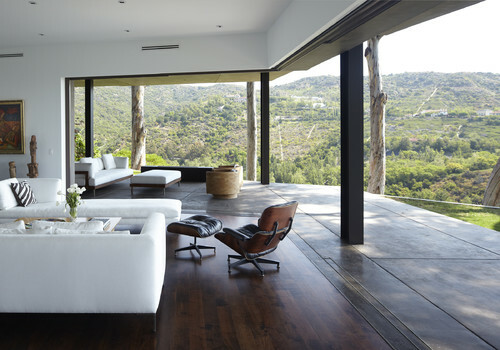 An entire corner wall of sliding glass doors extends this living room when the weather is welcoming. Pivoting windows are a great way to create a vanishing wall when there’s not enough space to encompass a full sliding wall of windows. Retractable roofs let you feel the sun on your skin from any room in the house. 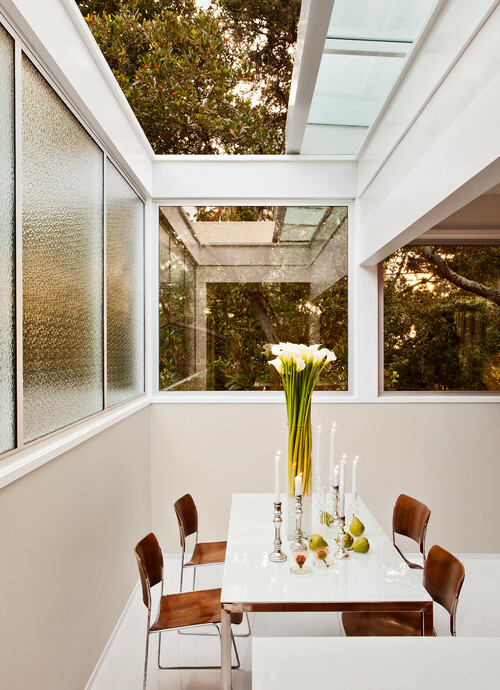 Dine by sun light or moon light with a retractable skylight. A sliding rooflight lends a cheery ambiance to this otherwise dark, modern kitchen. 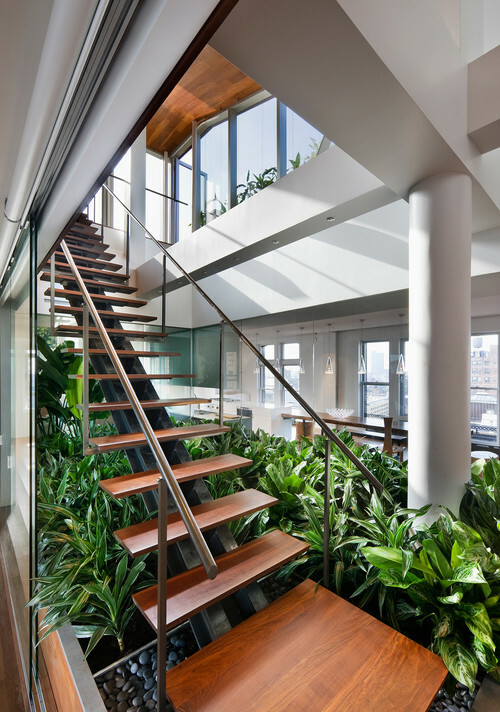 There’s no better, or more beautiful way, to literally bring the outdoors in than with an Indoor garden. 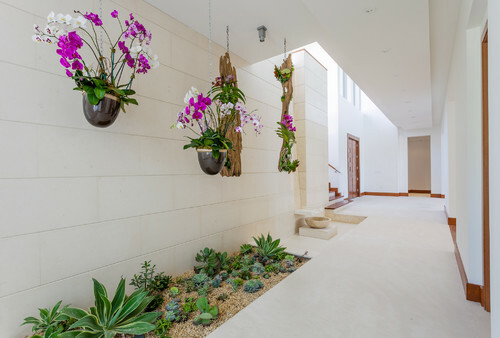 A hanging garden above a succulent planter adds a delightful twist to an otherwise white hallway. A vertical garden can go in any room and adds a dramatic focal point. Courtyards in the center of a house provide natural light and ventilation on all four sides. 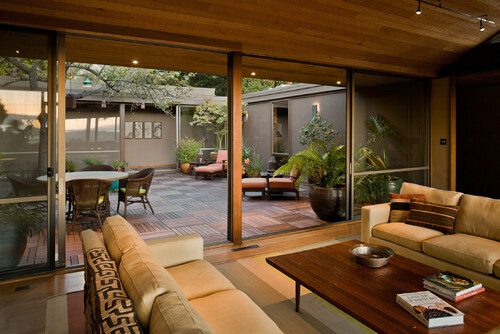 Indoor courtyards can either be purely aesthetic or can be used as outdoor entertaining spaces. In tropical climates, such as India, homes are sometimes built around a central courtyard that’s left open on all sides. 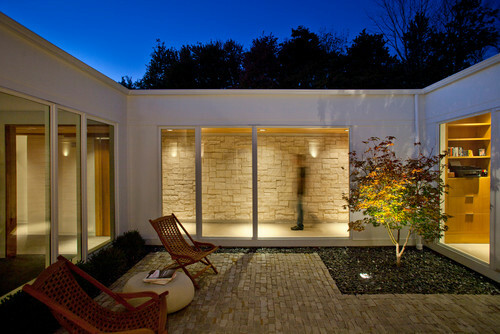 The center courtyard of this mid century modern home shows how a courtyard adds tons of liveable space. Floor to ceiling windows make this beautiful, open-aired courtyard visible from all four sides. Of course, it doesn’t require an entire garden to make an impact. 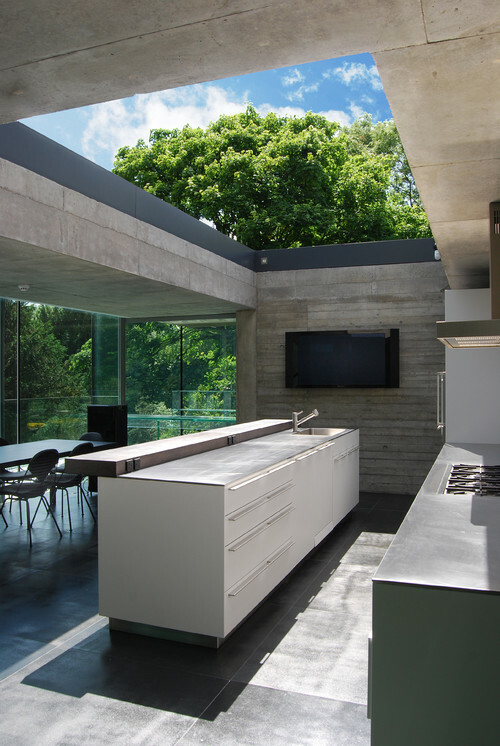 A single tree in an atrium filled with natural light is a showpiece in this modern home. An open aired bathroom is a great way to create a space that feels like a luxury, spa getaway in your own home. 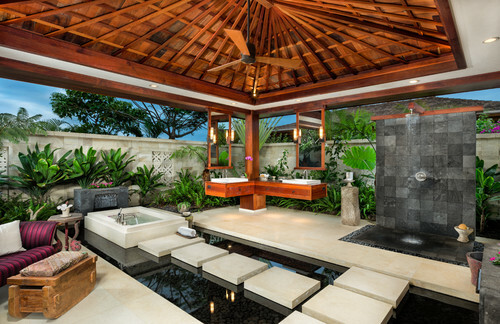 These outdoor showers create an exotic escape from the everyday. 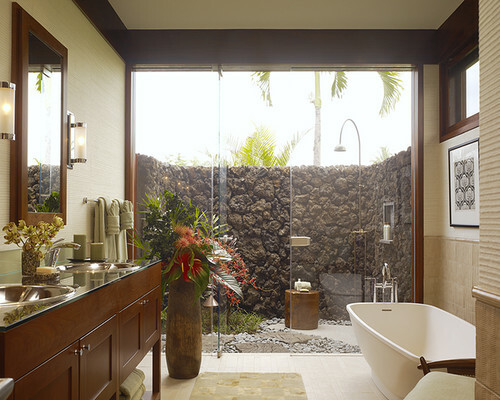 A fully outdoor bathroom is as dramatic as it is beautiful. 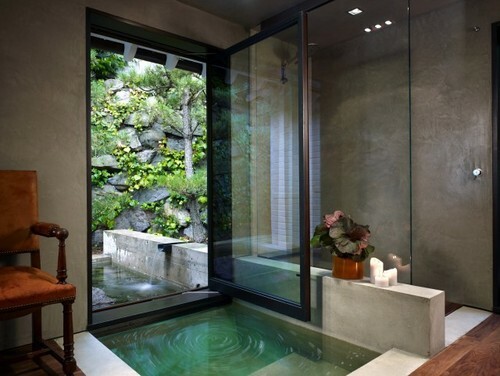 A functioning floor to ceiling window connects this soaking tub to an outdoor fountain. There are beautiful and bold ways to welcome the warm Atlanta summers indoors. BoldForm Designs can design the perfect solution to modern indoor/outdoor living for your lifestyle. Let’s get started on your project today. Interior Design atlanta interior design, indoor gardens, indoor outdoor living, indoor outdoor showers, modern indoor outdoor living, modern interior design, modern interior design atlanta, modern outdoor design ideas, pivot windows, retractable windows. permalink.